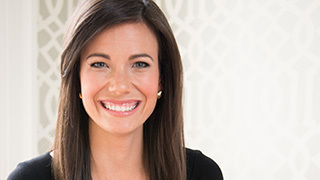 #1 New York Time Best-Selling author and daughter of Dave Ramsey, Rachel Cruze learned the basic principles of handling money properly at an early age. In the past year alone, Rachel has delivered those same principles, in a personal and passionate message of money and hope, to more than 100,000 people across the country. If you desire to challenge, inspire and motivate your audience, Rachel Cruze is the perfect choice for your next conference, college, church or business event! Rachel says; "I feel very strongly about reaching people who need this message," she says. And she’s excited that her passions and strengths are being used to spread hope. "I am so happy I can use the platform my dad has built to reach even more people." Get more information on Rachel Cruze or any of our speakers, including availability, detailed speaking topics, fees and more.